Does anyone have the complete schematic of the Ukw.E.d1 receiver? 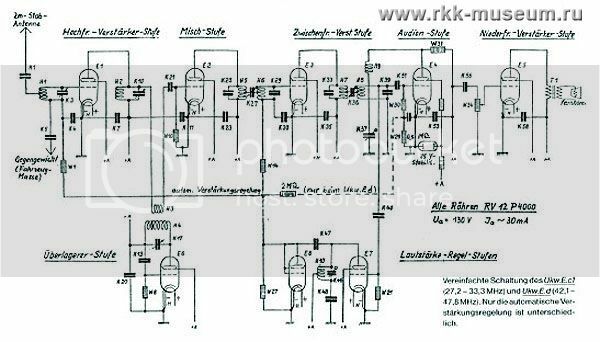 Still looking for the Ukw.E.d1 receiver schematic. I have the one for the Ukw.E.d but it's a completely different receiver. The E-16 receiver's schematic is similar, but different. No one seems to have the manual for this receiver. Yuri, cdvandt has D987, for UKW.E.c1, which is UKW.E.d1 predcessor. Maybe this helps. Still looking for schematic and/or manual for the Ukw.E.d1. Please have some informations about this ? Can some one help me with 10w.s.c. schematic ? I can not ever find it.